Celebrated opera star dies at the age of 90. We are saddened to hear of the death of the legendary soprano Sena Jurinac. She first appeared at the Royal Opera House in the role of Dorabella (Così fan tutte), with the Vienna State Opera in 1947 and went on to appear as Cio Cio San (Madama Butterfly) to great acclaim with the Covent Garden Opera Company early in 1959. You can see a list of Sena Jurinac’s appearances at Covent Garden on the Royal Opera House Collections website, although as this is a work in progress her performances as Mimi (La bohème) and Leonore (Fidelio) are not included. Did you see Jurinac perform at Covent Garden or elsewhere in the world? Are there particular recordings you would recommend to anyone unfamiliar with her work? Let us know. yes I saw Jurinac at Covent Garden in Fidelio, Don Giovanni, Tosca and the Rosenkavalier , all wonderful experiences. An ultimate artist , wonderful voice and a great joy to listen to. Any recording of her artistry is important to anybody who wants to be familiar with the great singers of our time. Sena Jurinac was one of my 4 favourite sopranos of all time, seen in person (Maria Callas, Victoria de los Angeles and Renata Scotto were the 3 others). I saw her Madama Butterfly and Tosca at Covent Garden. 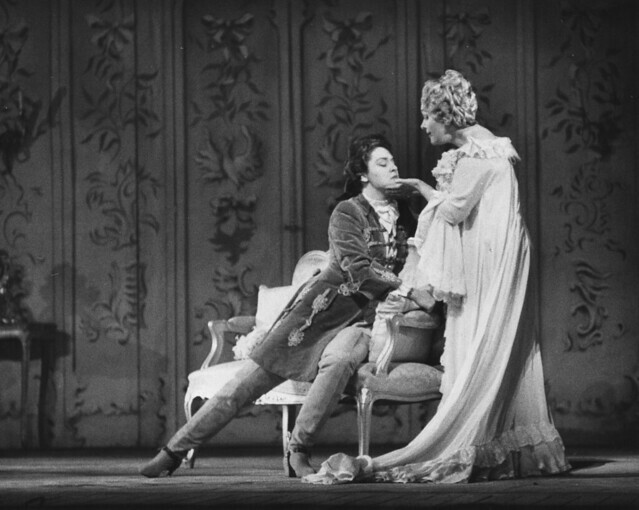 But best of all were her Figaro Countess and Cosi Fiordiligi at Glyndebourne - her husband, the supremely gifted Italian baritone Sesto Bruscantini, was in both. She was an artist of the first order. Did Sena ever sing Oktavian, her most famous role, at Covent Garden? I saw her first Marschallin (Visconti) there in 1966 and heard it broadcast on the Third Programme soon after. It seems exceptionally sad that there is no recording (as yet) to be found, any where. When I heard her Donna Elvira on the Philips Don Giovanni LPs in 1956 I became a fan. I saw her often in Vienna. We became friends and I was invited to her 80th birthday party in Bavaria.